Home » Everyones Doin' It » This Year…Best Prank Yet? No Clubble? For those of you who have been following YLHelp for a few years, you may have seen my meager attempts at April Fool’s Day pranks. Once again, I posted one, with little reaction in comments or tweets. I had a few text messages and emails, but not much more. Oh well, good try I thought. The funniest thing was that over the next few months I had YL friends from across the country contacting me telling me that people really thought that the Clubble has been banned from YL. Ha! I thought I made it obvious enough that it was a prank (see the picture I posted too). 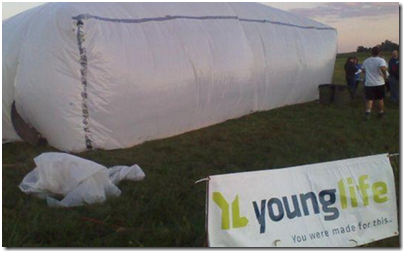 As far as I am aware, it is legal, and a ton of fun, to do the Clubble at YL! That is so funny…when you posted that, i for sure thought it was banned with the chubby bunny! I am so gullible!